It’s easy to be cynical about Imagine Dragons. Their last two albums, Night Visions and Smoke + Mirrors, were a magpie’s nest of pilfered Coldplay trinkets and discarded pop choruses. Evolve was launched – with maximum fuss – with the single Believer, soundtracking a Nintendo Switch ad at the Super Bowl. Minor Threat, it’s safe to say, they are not. 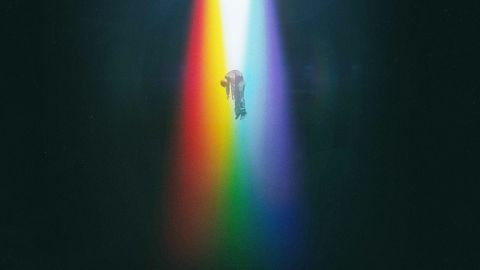 Believer itself is meant to be an example of that titular evolution, because this time the band are slightly cross, hence the punchy percussion and some vaguely peeved lyrics delivered in the same awful 90s not-quite-rap that rears its head more often than is necessary on this album. It still sounds like a Backstreet Boys castoff. They’re aiming for a rockier sound – Walking The Wire has a guitar solo that could conceivably be influenced by U2 if you stick your head under a pillow before hitting play – but, as one listen to opener I Don’t Know Why amply demonstrates, it just comes off like Michael Bolton daddancing to Justin Timberlake at a family wedding. Pop deserves better. Rock deserves better. We all deserve better.